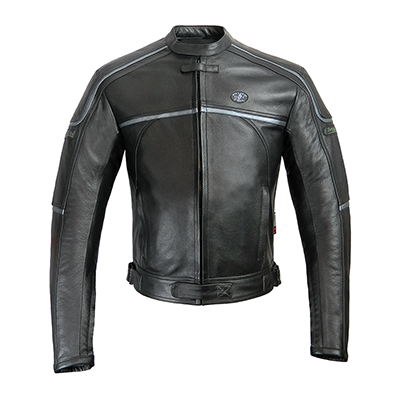 Finest quality 1.2-1.3mm cowhide leather jacket. 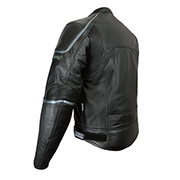 Fully lined in 100% cotton for comfort and safety (no friction melting). Central main zip with Velcro straps. Back protection padding included. Or upgrade to a CE Smooth Ways Back Protector for £14.75. 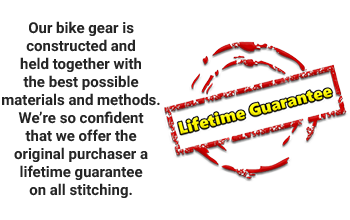 Check the box for this upgraded armour when you're ready to buy. The Smooth Ways CE Back Protector is moulded to fit the contours of your body with feathered edging making it very comfortable to wear and discreet in appearance. It is a category II CE back protector that offers impressive impact absorption. 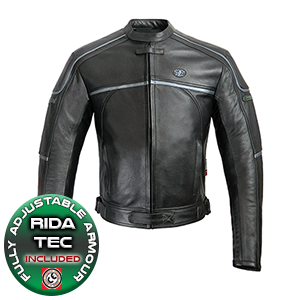 Fully adjustable, removable Viscotec CE memory armour in shoulders and elbows INCLUDED. Viscotec is the latest technology in motorcycle protective armour. Unlike hard armour, Viscotec absorbs energy; slowing the impact to the bones and therefore helping to prevent bone injury as well as abrasions. Viscotec is constructed from a patented memory foam rubber which, although pre-moulded, changes shape to that of your own knee, shoulder or hip contours and becomes a perfect fit. Extremely comfortable and almost undetectable in looks. This armour is fully recommended by us. Two external zipped pockets. Two internal Velcro pockets and one internal zipped pocket. 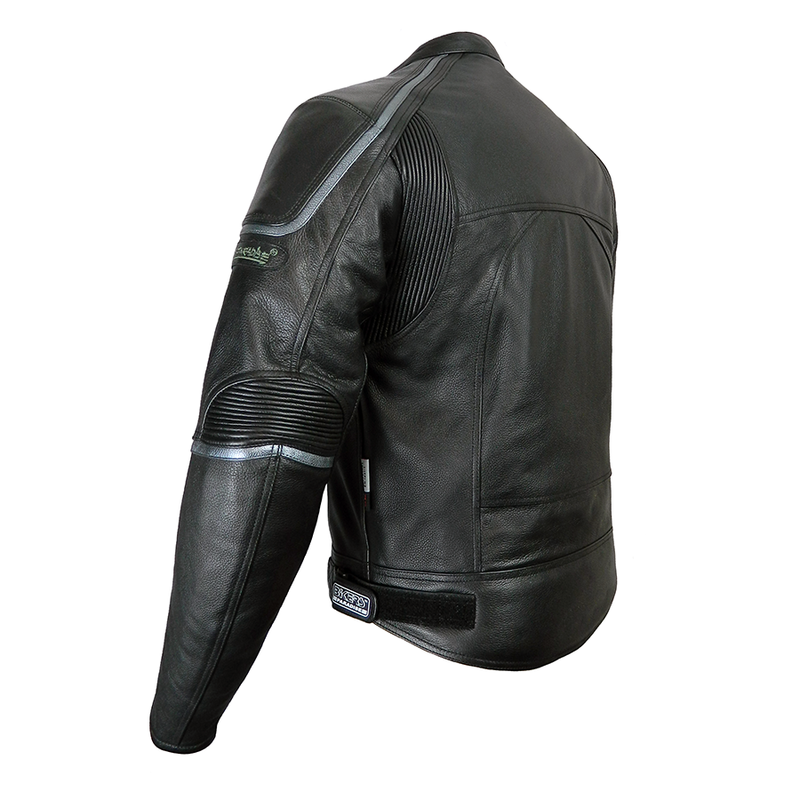 Leather stretch panels at back of shoulders and elbows for ease of movement. All seams have heavy duty internal stitching (inside leg double internally stitched) with vulnerable areas having two rows of top stitching as well. These anti-burst seams are invaluable in the event of an accident. Zipped cuffs with Velcro straps. Adjustable side straps for a snug fit. Connecting zip for jeans (may not be compatible with all jeans).